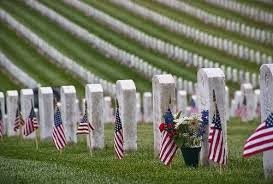 Monday, May 25, 2015, is Memorial Day - that day we set apart to remember those men and women who gave their lives in the service of our country as members of the Armed Forces of the United States of America. This weekend millions of Americans will use this long holiday weekend to trek to some distant place for the beginning-of-summer vacation. Unfortunately, most will "celebrate" this holiday without ever giving a thought to what it actually means. 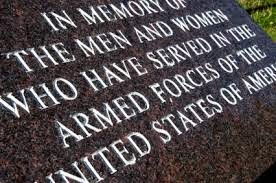 This is not a day to celebrate, but a day to remember and honor those who served and gave their all. This image is of the Florence American Military Cemetery just south of Florence, Italy, the burial site of more than 4,400 American soldiers who lost their lives in World War II near this location. My wife and I visited that hallowed place and were very moved by the pristine condition and the respectful presentation honoring those brave men. Each year I've written about this day, hoping you will stop sometime next Monday and pause to reflect about the significance of this day of remembrance. Last year I wrote this, HERE. To help you understand what this actually means, let's get personal for a moment. 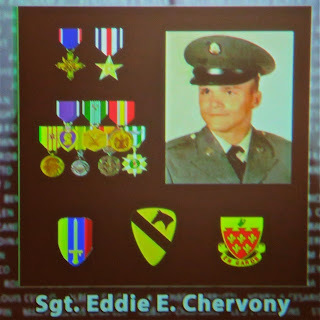 One of those 58,209 names listed under the Vietnam War is Sergeant Eddie Chervony, father of Costa Mesa City Employee Jeanette Chervony. You can read about the bravery of Sergeant Chervony HERE. He was one of the young men who bravely fought in that very unpopular war and gave the ultimate sacrifice in the service of his country. So, as you pause now to contemplate this holiday, here's a little help from Lee Greenwood. Two very important meetings are scheduled tomorrow, Thursday, and I'm not attending either one due to important family commitments. However, that doesn't mean YOU shouldn't attend them and report back to me how things went! 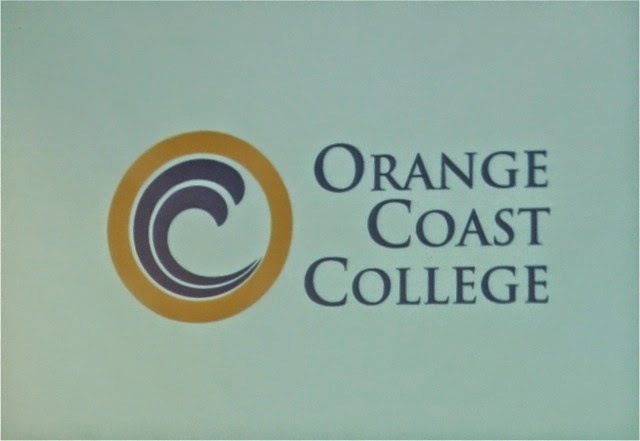 Reminder: Orange Coast College will be hosting a Community Meeting on Thursday, May 21 at 6 p.m., in Room 108 of the OCC Administration Building to report on the feasibility studies the college has conducted in regards to the possibility of the construction of student housing on the campus. A representative of the consulting firm of Brailsford & Dunlavey will be at the meeting to provide an overview of the firm’s findings related to the feasibility of adding residential housing on the OCC campus. 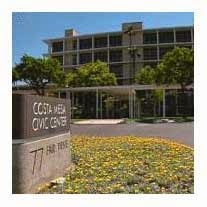 The meeting will be in the OCC Administration Building at Fairview & Arlington. 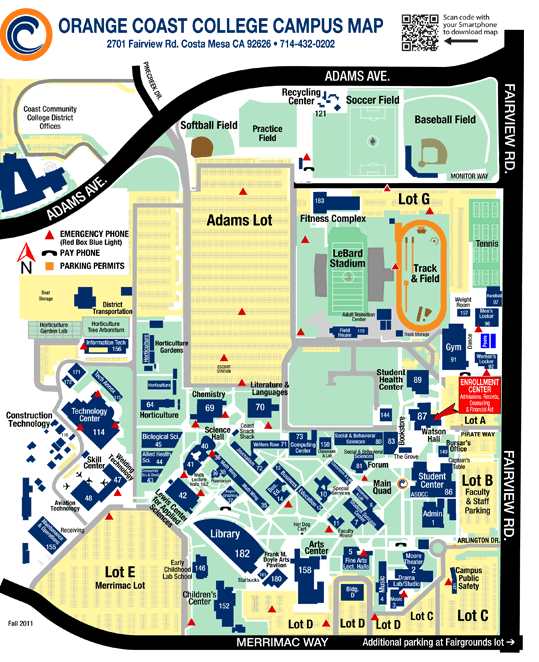 Free parking will be available in Lot B next to the OCC Admin. Building. If you have additional questions please contact Doug Bennett at (714) 432-5126. As you can see from the attached map, the Admin. building is immediately adjacent to Lot B at the Arlington Drive entrance. Parking is free. Click on the map to enlarge. I've found these OCC meetings to be very informative and conducted in a very civilized manner. The folks speaking typically are respectful of the questions asked and appear to do their best to provide answers. Having attended several of them by this time, one thing is VERY clear - they DO LISTEN to the voices of their neighbors and other concerned residents. That's very refreshing. I hope you'll attend and participate. Simultaneously, across the street at City Hall, the staff will conduct a community meeting on the proposed 2015-2016 Municipal Budget. You can find the entire nearly 400 page document HERE. This meeting also begins at 6:00 p.m. and will be held in Conference Room 1A on the first floor of City Hall, immediately behind the City Clerk's office. In the past these meetings have been poorly attended, but have been quite valuable for those of us who did show up. I suspect tomorrow's meeting will have a larger turnout than in years past. The format has been more casual than, for example, a council study session. Generally, the staff has been interested in hearing from the community on this subject before the council makes the final decision on this document the first meeting of June. 1 - Why are we not budgeting money to expand Fire Station #4, which is pivotal to the full implementation of the deployment plan created by former Interim Chief Tom Arnold and modified by CEO Tom Hatch? 2 - On the same subject, why do we NOT cancel the contract with CARE Ambulance and begin transporting patients ourselves - and generating between $1-2 million in annual revenue for the city? Could it be political? Seems like a good question, since CARE has been a big campaign contributor and also contributes to events around the city. 3 - Why do we not require department heads to produce a more realistic staff requirement? By over-projecting the needs it results in theoretical budgeted money saved by not filling positions, which is then used by the council as a piggy bank for their pet projects. 4 - Why do we budget $4 million for the Library/Neighborhood Community Center project instead of putting at least part of that money toward more public safety staff? Today we are nearly 30 positions short of our diminished Police Department authorized staffing level. The Fire Department staff continues to be required to rack up horrible overtime hours because we do not adequately staff that organization. 5 - What kind of fiscal responsibility is it to have half our brand new fleet of Rescue Ambulances - at $250,000 a piece - sitting dormant? This is directly related to the above items. We cannot fully implement the Arnold plan. 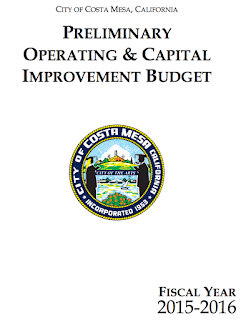 6 - Why do we not purchase a new emergency generator - Capital Improvement Budget wish list line #93? This is long, long, long overdue. POTHOLES BEFORE PUBLIC SAFETY - WHY? There are MANY other questions I have about the fiscal management of our city. All are policy questions. Things like what kind of a political character will put potholes before public safety? Sure, the streets are nice, but our priorities are so screwed-up because of the hatred of the Police Department by a couple hack politicians that our city is NOT safe today. No A.B.L.E. ; A severely diminshed Gang Unit; No Narcotics Unit; A severely diminished Detective Bureau; 3/4 of our motorcycles sit unused; No K-9s, etc. We cannot hire cops - new or Reserves - fast enough to keep up with the hemorrhaging of officers retiring early and/or departing to other venues, including some of our most recent hires. All this at a time when our streets are made significantly less safe by the increase of parolees and probationers in our community and the epidemic of sober living homes infesting our city. So, attend the meeting. Ask your own questions and listen to the answers. 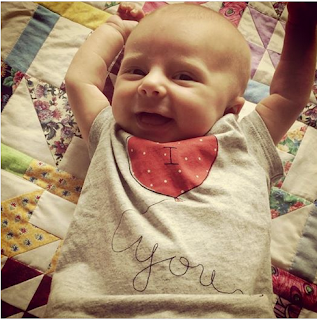 I'm sorry I'll miss it, but we're getting our first chance to visit with our newest grand niece from Omaha, Miss Harper Hartte Cunningham, and we have our priorities in order. Greetings, water guzzlers. 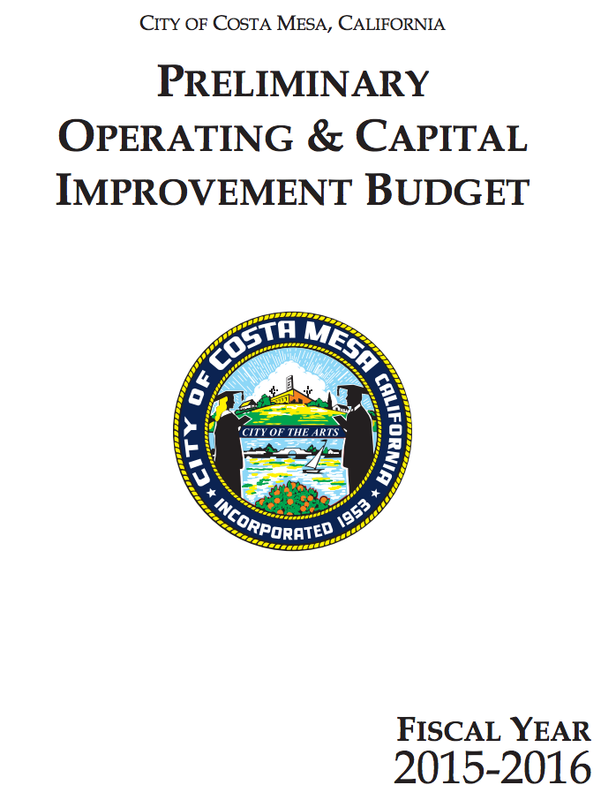 As promised, today I bring to you the most recent, hot-off-the-presses information from our friends and water purveyors at the Mesa Water District. Water Conservation Ordinance No. 26, HERE, and Resolution No. 1426, HERE, have both apparently been thoroughly vetted by attorneys and are now ready for public consumption. The District has declared this to be an Emergency situation, which justifies the IMMEDIATE imposition of the new rules. We are at "Level 1" as defined in the attachment to Ordinance No. 26. However, two exceptions were made. ONLY WATER TUESDAY AND SATURDAY! As I mentioned in an earlier post, the new rules are in effect NOW, and today was the very first day we could water landscaping after the passage of the ordinance. Next Saturday is the next day, unless it rains on Friday, at which time you can't water until next Tuesday. Anyhow, the simple version is: You may water landscaping two days a week - ONLY on Tuesdays and Saturdays and ONLY between the hours of 5 p.m and 8 a.m. This DOES NOT apply to using a hand-held bucket, watering can or similar device or use a hose with a positive self-closing water shut-off nozzle or device or for very short periods of time while adjusting or repairing an irrigation system. Leaks must be repaired within 72 hours. In an earlier post I told you that there would not be "Water Gestapo" patrolling to find scofflaws. Well, it turns out that was based on incorrect information. In fact, Mesa Water District staffers - both regular staffers and an "enhanced" crew hired specifically for this purpose - are patrolling our streets right now to help us conserve. This week, if one of the staffers comes across a violation of the new rules - watering when you shouldn't, too much runoff, etc. - he might just get out of his truck and place a little reminder notice on your door, probably in the form of this notification, which will arrive in all our mailboxes within the next day or two in the form of a post card. 1st violation - Door hanger advising of the violation and a letter sent to the violator. 2nd violation - Same as the above. 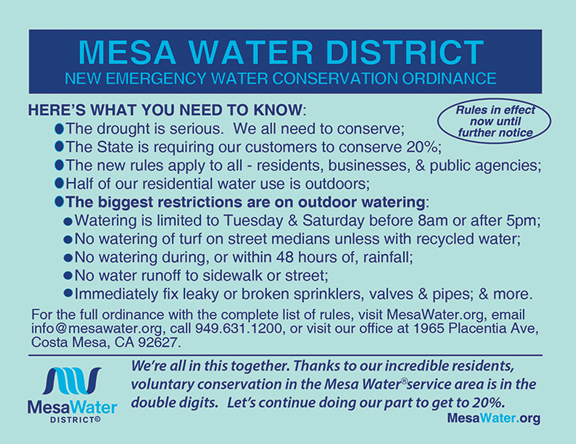 Following this to it's most unlikely extreme, a member of the Mesa Water team could cite you next Monday, Tuesday, Wednesday and Thursday and - if you continued to violate the rules - you might be looking at $300 in "fees" PLUS the discontinuation of your service. NOBODY expects that to happen, but under the rules now in place, it COULD. Mesa Water officials assure me that they want to work with all ratepayers to make these conservation measures work for everyone. So, let's all try to do our part to help Mesa Water reach its 20% water consumption reduction goal. I know we can do it.